International opportunities not only fulfil your itch to travel, but also your personal, professional and academic goals. Here’s five reasons why you should consider travelling abroad. One of the biggest benefits of travelling abroad is the chance to meet new lifelong friends. There’s an unexplainable dynamic when you meet others who are also studying abroad. Fellow travellers also have hunger for adventure and it’s easy to build a sense of community far from home when you have to work together to navigate a new city. Experience a completely new way of life through language, foods and customs. Broaden your horizons by learning a new, distinct cultural perspective. Laurier partners with more than 60 institutions in 25 countries, so you can study in another country and earn credits toward your degree. With so many institutions to choose from, deciding where you want to study can daunting. We see this as a good problem to have! Immersing yourself in the education system of another country is also a great way to truly understand the people, traditions and culture of your host country. Your international experience, including new language skills and cultural perspectives, will prepare you for future academic and career opportunities in any industry or field with international relations. Travel abroad to build a worldwide network and an outstanding résumé with international skills and experience. Travel can play a big role in boosting your self-esteem and self-confidence. When travelling solo in a new country, you’re most likely outside of your comfort zone, being forced to figure it all out. When faced with new surroundings, new people and a new way of living, unexpected twists and turns require you to live in the moment and let go of your normal routine. Travel broadens your sense of community and earns you key sociability skills — all of which helps you grow as an individual. A huge part of your experience at Laurier includes what you do outside the classroom. 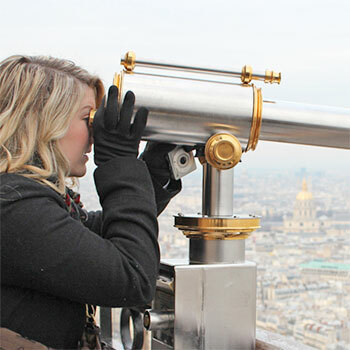 Expand your horizons and your worldview by studying abroad – through a faculty field course or internship, summer abroad program or student exchange program. And don’t forget about international volunteer opportunities such as Alternative Reading Week. Whether you spend a week or a year abroad, you can visit extraordinary places, learn new skills and experience new cultures. Turn your study abroad dreams into reality — attend an information session and check out Laurier International for more information.